Dr. Kristen Doyle's Holland office. Saturday Hours and Emergency Appointments. Walk-In's are available. Please call for more information. No need to worry! We accept self-pay patients as well. We offer affordable services and can work with you to establish a cost-effective treatment plan. Chiropractic is one of the western world's three major healing professions. The other two are medicine and osteopathy. Chiropractors specialize in the biomechanical causes of disease and fixations of the human frame - especially the spine. We offer a variety of options including: chiropractic adjustments, ultrasound, electrical stimulation, intersegmental traction, "dry" whirlpool, "sombra" mineral linament, "biofreeze", and home exercise and stretching. Each patient and condition requires their own evaluation and management. The length and duration of treatment depends on your clinical status. We respect your right to decide what level of health is appropriate for you. During your initial visit, a treatment program will be established and agreed upon. We will work as a partner with you to reach the level of wellness that you prefer.  What types of conditions can chiropractic help? There are many conditions which frequently respond to chiropractic treatment. Please review the therapy link to learn more. We accept cash, check and credit cards. Copays are due at the time of service. If you are unable to remit payment at that time, you will be billed, unless other arrangements have been made. Please call the office at 215-343-4036 to cancel an appointment. All massage appointments require 24 hours notice for cancellations. Time of service fees will be applied for any cancellation without 24 hours notice, payable by the patient only.